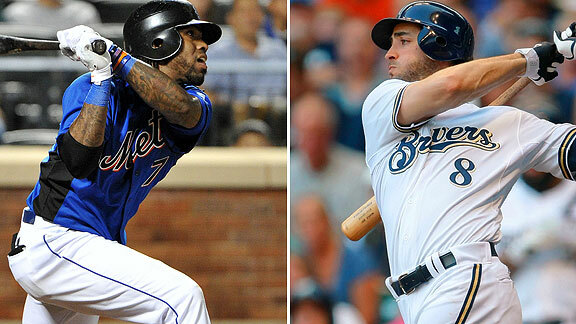 Jose Reyes edged Ryan Braun for the NL batting title. After a bunt single in his lone at-bat in the afternoon to lift his average to .337, Jose Reyes did not have to sweat during an evening party on Long Island. Ryan Braun went 0-for-4 on Wednesday night for Milwaukee to finish at .332. Reyes becomes the first batting champ in Mets history.